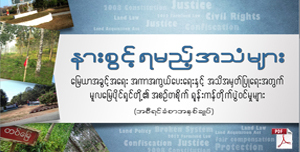 Burma, also known as Myanmar, is opening to democracy. A key factor in achieving a smooth democratization process is economic growth, but growth that relates exclusively to increased foreign investment and freer markets will not adequately alter the country’s socioeconomic landscape. Burma requires investment that reaches across a wide range of sectors and benefits the millions of people who continue to live in poverty. 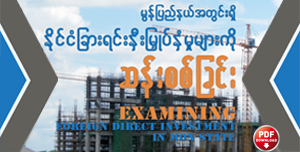 For more than two decades, Burma’s people had no control over decisions made during foreign investment or regional business activities, despite the attendant impacts that directly affected their lives. 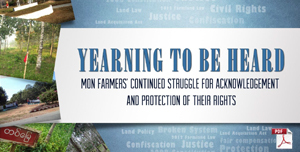 Under military rule, agricultural lands were seized from farming families, dam and dike construction was implemented without residents’ prior consent, and profits from natural resource extraction were carried off without boosting local economies. But people remained silent because they lacked the right to speak out. Now, due to the democratic transition, people have been given fundamental rights in freedom of expression, association, and demonstration. 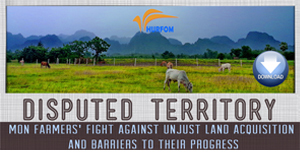 On a weekly basis, we see poor farmers taking to the streets to publicize their discontent with land confiscation and local villagers demonstrating against forced relocation caused by large-scale investment projects. 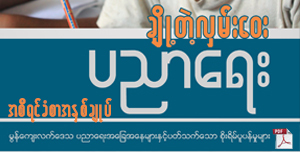 The Union Parliament in Nay Pyi Daw has been thoroughly discussing and drafting a new foreign direct investment (FDI) law to attract foreign capital. While economic growth encouraged by foreign currency is desirable, members of parliament need to carefully consider how to guide investment to ensure sustainable development. 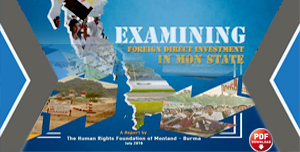 FDI must not destroy local customs, traditional livelihoods, or the unique ecosystems of Burma, especially in the resource-rich areas home to large ethnic populations and regularly targeted by development companies. 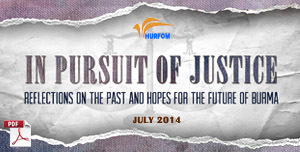 Instead, the government should steer investment toward job creation, capacity- building, and equitable growth. Burma could count its lessons learned from controversial development projects as an advantage when determining the best course of action for future endeavors. The Myitsone Dam hydroelectric power project, the Dawei (Tavoy) deep seaport and industrial complex in southern Burma, and the Letpandaung copper mine have each been strongly opposed by local people who are unwilling to trade their social or environmental wellbeing for large-scale investment. The government must be certain that new development projects have minimal negative consequences and provide the greatest possible value to local people. A truly democratic system requires transparency, with people empowered to access relevant information and to speak out for their communities and families. The local, state, and union governments are responsible for preventing conflict between investment interests and local residents, and for ushering in genuine democracy.